Affordable, accessible, practical, tried and tested user research tools. Whilst not an exhaustive list - instead this article aims to match the most common user experience research methods employed by an in-house UX research team (as well as some common research tasks) with tools that will fulfill your needs. 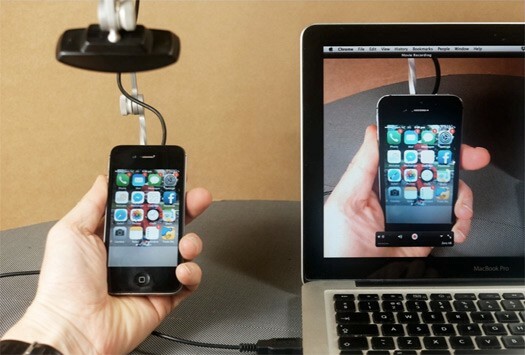 Mr Tappy with HD camera: Versatile and universal camera attachment for smartphones and tablets. 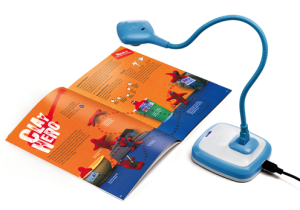 It allows the research participant to pick up and interact with the device more naturally. The top down view of the screen is perfect for catching fingertip movements, especially when participants hesitate, or change their mind before tapping a link. Pros: No hacking or DIY wizardry required. Everything you need is included in the box. Cons: Compared to other DIY “sleds” I've tried, the Mr. Tappy is a bit on the heavy side. Camtasia: Screen recording software that allows you to record the usability test taking place on a computer, as well as the audio of your participant and their face via webcam. 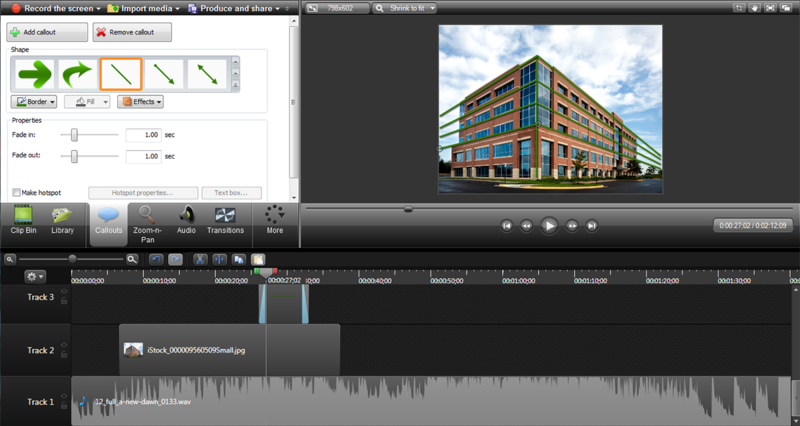 You can export your video with cursor effects, thus allowing you to highlight mouse clicks; and because it’s designed with video editing in mind, it has a comprehensive set of editing features (zoom and pan, visual call-outs, import images etc.). 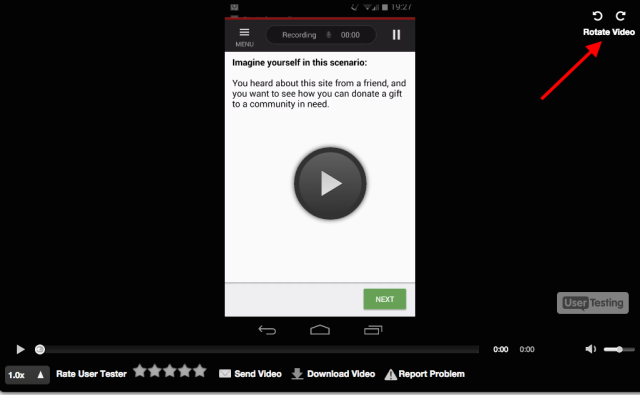 This makes for some impressive and persuasive highlight reels from user testing. Pros: Much cheaper and more stable than Techsmith’s usability software Morae. Cons: In order to screen-share (if you have observers) you will need to pair this up with conferencing software. Not suitable for unmoderated usability testing. Hue HD Pro: USB desk camera, with tall flexible neck and sturdy base. The manual focus ring and LED lights ensures that the desk space in front of you is captured in perfect focus. It supports video and audio recording as well as streaming. Pros: Once you set the manual focus ring on the objects/paper on your desk in-front of you, it will stay focused, despite hand movements and light changes. Can also be used for tablet usability testing (but the device can’t be moved/lifted). Cons: The camera can have trouble in low-light settings, so it’s important to use it in a well lit room. The visual field is a little restrictive (it could really benefit from a wider angle lens), but a quick fix for this is to tape out the desk area that it will capture, and let your research participant know not to go outside of this space. 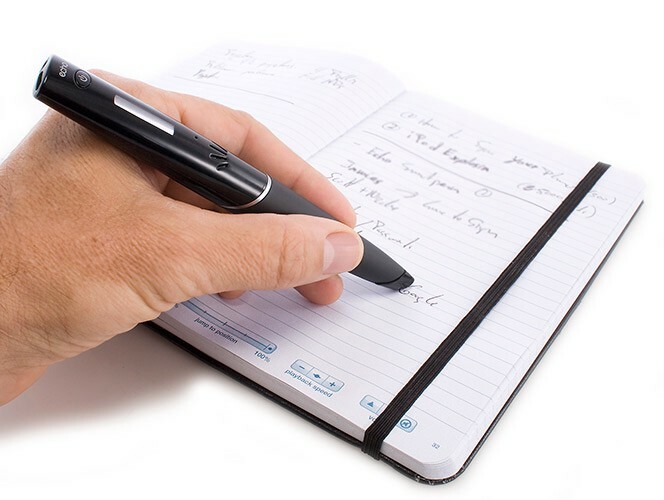 Livescribe Smartpen: An evolution of the dictaphone; this digital voice recorder, bundled inside a ballpoint pen, captures your hand-written notes and creates a link between the audio and your shorthand scribbles. This allows you to highlight parts of the audio, while you are in the middle of recording it. This is very useful if you want to listen back to only the most important/interesting aspects of the interview. Really useful if you’re conducting interviews alone. Pros: Not as distracting to the interviewee, compared to typing notes on a laptop. Cons: Not a solution to transcribing an entire interview. You can only use special paper when taking notes (otherwise they don’t sync up with the audio), but for some of the Livescribe products there is a template available so you can print out your own. Make sure to do your research before choosing which version of this pen to purchase (some of the later models are bloated with features). Invision with Lookback.io: Tool that enables you to stitch UI designs together to create basic clickable prototypes. Has powerful feedback mechanisms; the most valuable of these from a research perspective is the integration with Lookback.io — a mobile screen recorder, that also captures front-facing camera and audio. These combined tools give you the ability to send a prototype to a user, and record their first impressions. 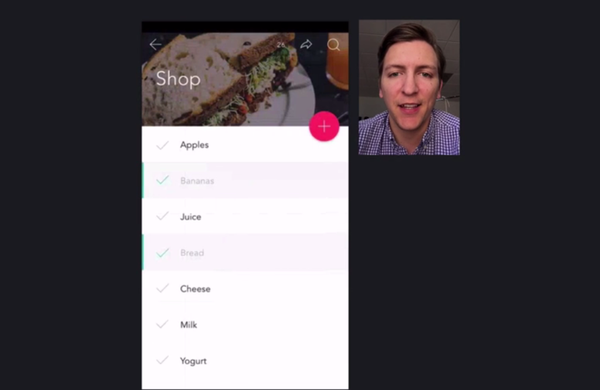 The videos are uploaded into your Invision account (rather than straight onto the device) and are easily shareable. Pros: No jailbreaking your iPhone in order to screen record. Could also be used for guerrilla research out in the field. Cons: The user journey (click the link > download InVision > go back and click the link again) isn’t seamless, so the participant will need their hand held for this part. This is currently in beta, so isn’t 100% stable yet. UserTesting.com: Remote user testing tool, that connects you with a panel of willing and able research participants, who carry out your usability tests from the comfort of their own home. This online services takes you outside of the lab, so you can find out how your products work in a real world setting (someone else’s wifi/3G and OS variants), with no restrictions on device type. For mobile/tablet testing you’ll get back either a top down view of the device (via usb camera) or a screen recording. Pros: Fast turnaround of videos, and Pay-As-You-Go model is cheap and cheerful. Cons: The advanced features (screening, moderated testing, recruiting your own users etc.) can only be accessed via a pro-account, which in my opinion is pretty expensive. Whilst the top-down camera view is preferable, the screen recordings for Android look great because you can track the fingertip gestures, but this is missing from iOS. SurveyGizmo: Survey software that has an impressive range of question types (drag and drop ranking, image selection, file upload etc.) and advanced survey logic capabilities. 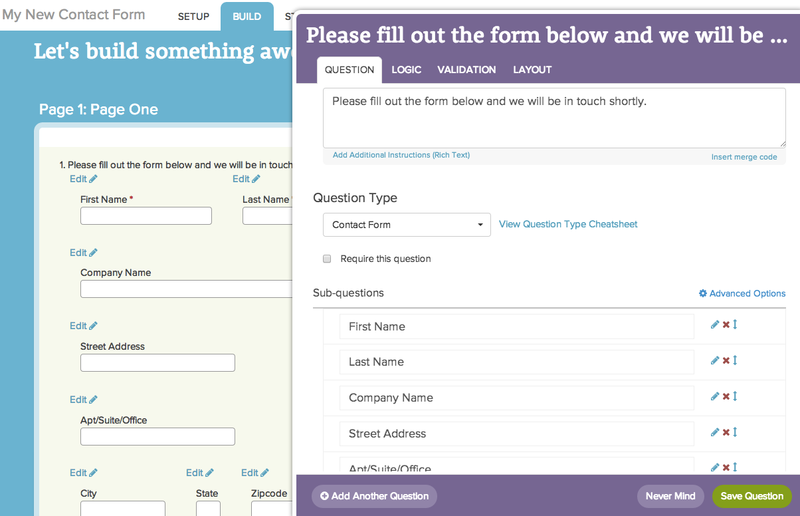 There are some nice customisation options too (custom question types, css styling etc.) and for your survey participants this translates into a great looking survey on desktop, mobile and tablet. Pros: The wide range of advanced options give you seemingly unlimited control over what you can do, for a small monthly price, and once you learn how to use the software it’s a really powerful tool. Cons: All of those advanced options mean that the interface for creating surveys has become bloated and a little difficult to use. 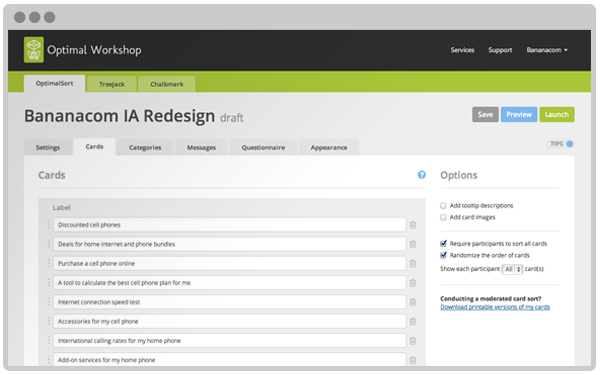 Optimal Workshop: Suite of remote user testing tools that allows you to conduct card sorts online, thus allowing you to reach inaccessible subject matter experts or do large scale studies with your users. If you’re working with a large number of items that you want to get categorisation insights on, or a deep navigation structure you want to test, doing it via this tool is going to save you a lot of time, as the tool also analyses the results. Pros: From the participant’s perspective, the test looks and feels very much like a survey, and has very similar completion rates. Cons: As with any remote un-moderated tool, you don’t get any of the extra qualitative feedback, you don’t find out why someone would categorise something in a certain way. To compensate for the individual differences, it’s advisable to generate as many responses as you can (100+ at least). 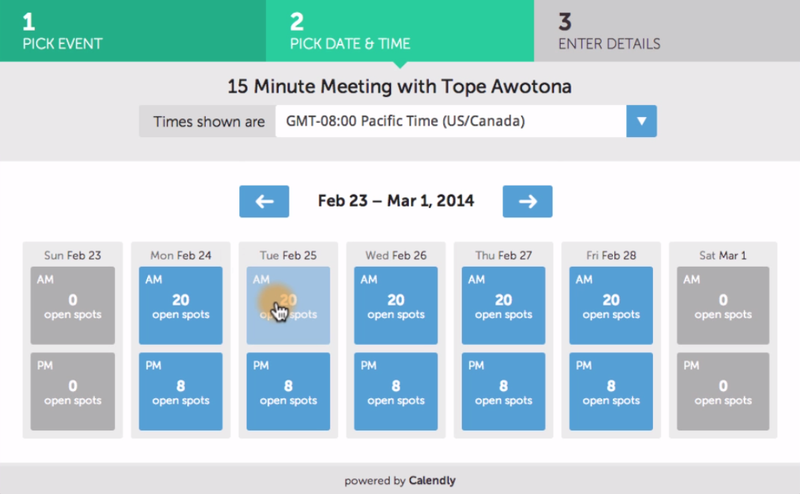 Calendly: Online tool that integrates with your Google Calendar or Outlook, so you can schedule research automatically. Once you’ve set up your list of available times (from 10 minutes to an hour), it creates a simple online page with a list of available slots, which you can then share with your prospective research participants. There are advanced options, like reminders/notifications and the ability to collect information via the sign-up page (e.g. phone number). It’s a big time saver for managing participants. Pros: You can setup your own custom “Event Types” which makes it possible to schedule groups, as well as setup sessions that last as long as you want. Cons: Your company need to be using Office365 for this to sync up with your Outlook calendar. Magic Whiteboard: Huge reusable A0 sheets of whiteboard plastic, it comes out of a roll and sticks to any flat surface. This allow you to turn the walls of any room into a space in which you can write observations, stick your post-it notes and start affinity mapping. When you’re done, you can fold the sheets up neatly, and re-open it later, to move it somewhere else. Perfect for when you don’t have a fixed space to conduct your research as well as analyse it. Pros: You never again have to worry about someone erasing your whiteboard when you’re finished up after a day of research or analysis. You can spread your workshops out over several days, and different spaces. Cons: Unlike flip-chart paper, your work is no longer permanent and store-able. To get real value from the whiteboards sheets (by reusing them) you’ll need to be satisfied with taking photos instead. Coffee drinker, problem identifier, and UX researcher. No small talk, only big talk.